The quality of requests received lately is just fantastic…just keep ’em coming, as it’s now time we opened up this week’s ‘Request-line’! Either tweet them @ClassicRockShow, post them up on our Facebook Group pinned ‘Request-line’ post or reply to this post directly on our website. Whichever way you want to do it, we just love to hear what you’d like played. 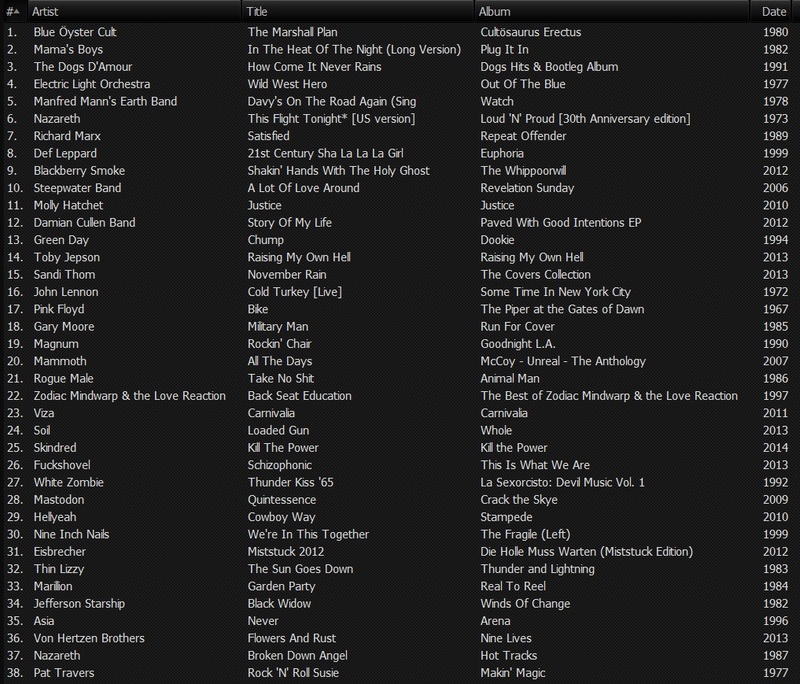 Here we have last Thursday’s playlist for you to peruse. Plenty of variety and great selections from the listener ‘Request-line’, covering five decades of rock in all. Now that can’t be bad! We also included some new music from the likes of Sandi Thom, Toby Jepson, Skindred and The Brew. You get the feeling that the future of rock music is secured for decades to come when you hear what’s being produced these days. We’re back with another show on Thursday, 23rd January at 7pm. So get busy and send those requests in for this week! !